31 Bits makes the top of my list once again! Started by four friends, 31 Bits works with artists in Uganda to make a fashionable line of paper bead jewelry. 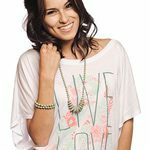 Choose from their gorgeous line of necklaces, bracelets and even headbands and know that each dollar you spend is making a difference in the life of real women. My husband recently brought home a Cubebot that he found while looking for a gift for the girls after an out-of-town trip, and the whole family loves him (the robot, that is, although we love my husband too!). He sits on our mantel, and although you never quite know what pose he’ll strike, he’s currently wearing a red scarf for the holidays! 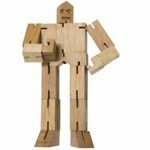 Part toy, part art, this is a definite conversation piece made of sustainably harvested cherry wood. I only recently discovered Sevenly, but I love the concept and asked for one of these sweaters for Christmas. Each week Sevenly offers a new line of stylish shirts for men and women featuring a design associated with a specific charity. These shirts are high-quality, fair trade and tag-less, and $7 from the purchase of every single shirt is then donated to the featured charity! 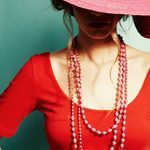 I recently made a commitment to only purchase fair-trade jewelry — either made abroad by companies like 31 Bits or by artists in the United States. 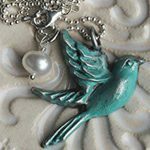 As stamped jewelry has continued to gain popularity, I love both Lisa Leonard Designs and The Vintage Pearl, and this gorgeous blue bird necklace from The Vintage Pearl — which my husband got me for our 10th anniversary — is one of my favorites! Krochet Kids International is another organization that is empowering people to climb out of poverty by teaching them a trade and providing a market for their goods. With a selection of hats, scarves and more made by artisans in Uganda and Peru, this is a company that’s actually changing lives through its products. 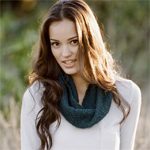 I especially love this alpaca infinity scarf! 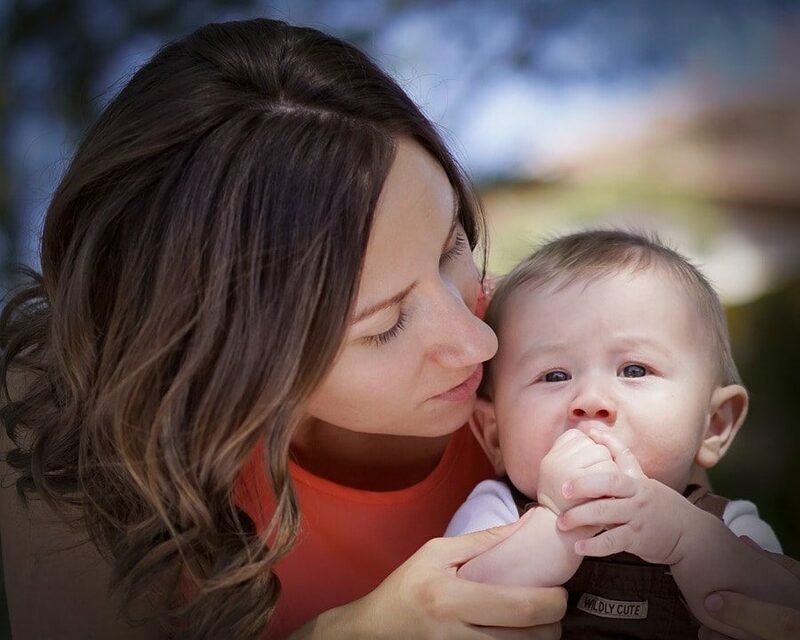 TOMS line of kids shoes, called Tiny TOMS, are absolutely adorable! 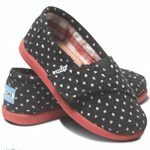 I love these Black Dot Tiny TOMS, and with your purchase, you’re also providing a pair of shoes for a child in need. In fact, TOMS has given over 200,000 pairs of shoes to children worldwide, one pair for every pair purchased! LaundryTree SoapNuts are the truly green alternative to laundry detergent. 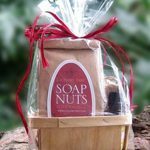 Grown organically, sustainably harvested and then dried, this fruit really is 100% natural, and the SoapNuts don’t contain dyes or perfumes or have any added chemicals. They’re also gentle, biodegradable, non-allergenic, antimicrobial and low-sudsing, making them safe for high efficiency washers. Sadly, chocolate and coffee — two of my very favorite things — are often grown and harvested through unfair labor and trade practices, so our family works hard to only purchase fair trade versions of both. 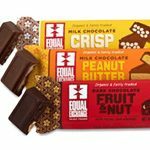 Equal Exchange is a leading fair trade co-op with a variety of coffee blends, chocolate and candy bars, among other fair trade products. 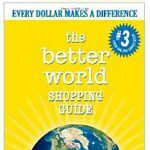 The Better World Shopping Guide by Ellis Jones is a great gift for a socially conscious consumer who wants to know which companies are truly socially and environmentally responsible. Small enough to fit in your pocket or purse, this handy guide has all the information you need to make better choices!